If there is one issue that’s garnered widespread support in the General Assembly, it’s the need for Indiana to legalize CBD oil. Lawmakers appear to be just days away from finishing their work on Senate Bill 52 and sending it to the governor for his signature. That bill will allow Hoosiers to buy, sell and possess hemp oil with low levels of THC — ending a year-long legal and public relations debacle for the state that WTHR first exposed last spring. But there’s another issue on which lawmakers seemed to reach consensus, as well: legalizing the plant which produces CBD oil. 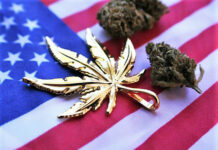 Despite its common association with marijuana (marijuana has high levels of THC that can make you high, but industrial hemp has very low levels that cannot), every member of the House supported the bill. 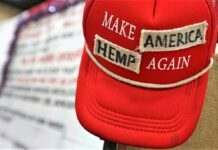 Republicans and Democrats, tree-hugging liberals and bible-toting conservatives, reps from big cities and those from tiny towns … all 90 of them agreed it is time for Indiana to enter the booming industrial hemp marketplace, which is expected to grow to $1.8 billion in sales by 2020. The bill had plenty of support in the Senate, too, where lawmakers on the Commerce and Technology Committee approved HB 1137, sending it to their Senate colleagues for a full vote. That’s when the bill hit a 6-foot-4-inch brick wall. Gov. Eric Holcomb told Senate leaders to put the brakes on HB 1137. 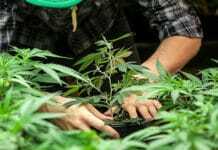 They listened, dramatically amending the bill by removing all language that would legalize growing and processing industrial hemp, and instead replacing it with a proposal to send the issue to a summer study committee. Senators approved the amended bill, derailing the intent of a popular piece of legislation that had bi-partisan support. I asked to speak with the governor to better understand his rationale for the summer study committee. His communications director told me Holcomb was out of town, attending an event in Bedford. My cameraman and I headed south on State Road 37 for an opportunity to catch up with the governor after his appointment. Our 4-hour roundtrip drive resulted in a 4-minute one-on-one interview with Holcomb about industrial hemp. While the conversation yielded answers, it also triggered lots of additional questions. During our interview, the governor quickly told me he is “not opposed” to growing industrial hemp in Indiana, adding that he actually has some “interest in it.” Not enthusiastic wording, to be sure, but also a signal Holcomb is not dead set against the idea. Some lawmakers are frustrated to hear that response. A parade of technical experts from industry and agriculture testified before House and Senate committees over the past several months as lawmakers educated themselves about industrial hemp. 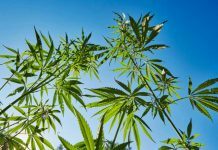 Noticeably absent from the discussions and the hearings at the Statehouse: the Indiana State Department of Agriculture and the Indiana State Seed Commissioner, two agencies that would likely play a major role in implementing an expanded hemp program. Dr. Robert Waltz, who has served as state seed commissioner for the past 12 years, says he is more than willing to provide his input and expertise on the issue of industrial hemp. But despite months of legislative hearings and media attention on the issue, he has not spoken to Holcomb or anyone from his staff. Waltz supports growing industrial hemp in Indiana. At the same time, the state seed commissioner says Indiana and other states desperately need clarification from the federal level to remove a Schedule I stigma on industrial hemp. He believes the crop poses no health threat and should not require extensive oversight and regulations. Lucas says if the Department of Agriculture and seed commissioner are crucial to the discussions – which they are – he does not understand why the governor has waited so long to include them. But the governor insists more time is needed to study the economics, logistics and legal implications of the issue — and to implement the regulatory infrastructure needed to expand an industrial hemp program statewide. The governor is correct. 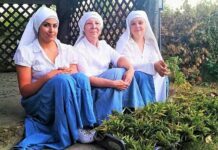 Implementing an expanded industrial hemp program in Indiana will probably necessitate some staffing changes at the Indiana State Department of Agriculture. Indiana State Police might be involved, too. But does that really require a summer study committee to accomplish? Lawmakers decided HB 1137, in its pre-study committee form, would take effect July 1, 2019 — more than 15 months away. If the bill were to be passed by the legislature and signed by the governor, Holcomb could forego a summer study committee and instead order his administration and state agencies to get up to speed on industrial hemp during the spring, summer, fall and winter (and next spring too) – all before the law would take effect. Many lawmakers believe that is plenty of time to effectively implement HB 1137. “The studies have been done. There are plenty of people who have broken ground on this. I don’t think there’s anything a study committee could do to give us more information,” said Sen. Mark Stoops (D-Bloomington). “There’s an awful lot of time to fine tune the details and bring on anyone we need to bring on. We don’t need a study committee to do that. I’m not sure why [the governor] thinks that’s necessary,” said another senator who asked not be identified for fear of angering the governor. And the truth is, governors routinely sign bills that include some “blanks,” authorizing agencies to implement legislatively-mandated programs while granting them some discretion in how to do so. In fact, those blanks can allow the governor’s office to exert more influence, helping to determine the details of how a program is implemented and enforced. Holcomb told WTHR he wants to proceed cautiously, to ensure Indiana does not “sputter out of the gate” as some other states have done when expanding their industrial hemp programs. (He did not mention which states those are.) Lucas isn’t buying that argument. He says the governor’s proposed study committee will only ensure that Indiana remains stuck at the starting gate rather than racing ahead. 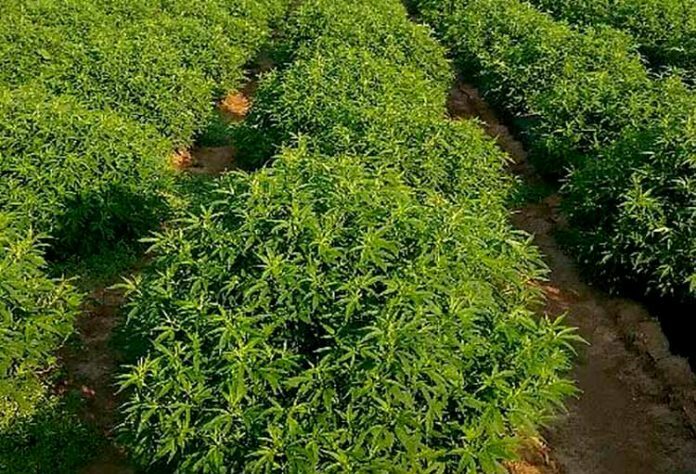 New York is helping to fund a $3.2 million hemp processing plant near Binghamton and is investing another $5 million to research industrial hemp in the Empire State. 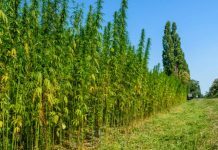 Kentucky recently announced it has attracted a $5 million hemp processing center expected to create 271 new jobs. And last month in Anchorage, state lawmakers approved industrial hemp farming in Alaska, sending a bill to Gov. Bill Walker for his signature.